How many times when you've knit or crocheted a garment for yourself or a family member, you received an appreciative thank you followed by "You should sell these, you'd make a mint!". I'm sure this thought has occurred to every crafter who has made something they feel is unique and should be shared. 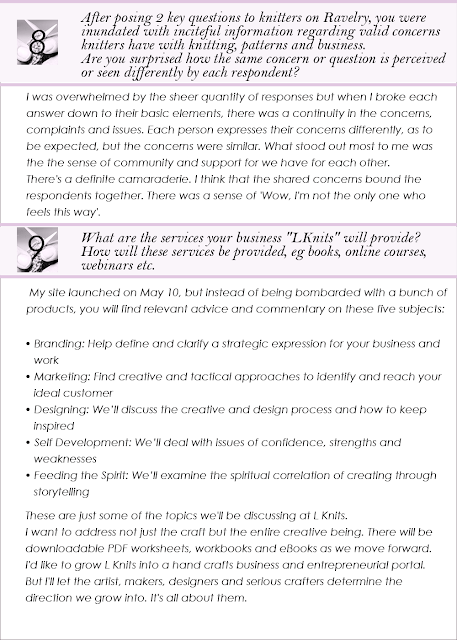 As a designer or maker of imaginative and original products, you hone your skills and become very familiar with every aspect of your craft, whether that is knitting, crocheting, stitchery or any other creative endeavour. Marketing your designs are a totally different kind of skillsets, which are needed if you are thinking of going professional. Of course this all depends to what level you aspire to, making a living from what you design or just a sense of satisfaction with what you are able to produce. 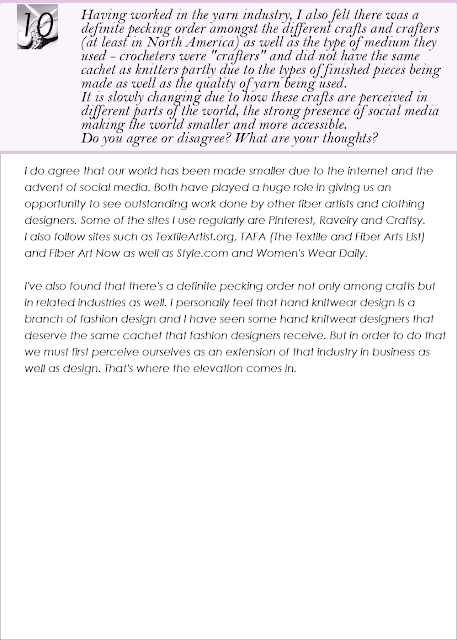 This was a question I wanted to explore and came across a designer who also wanted to explore this area and help other designers with her marketing skills. The result was "lknits", a site devoted to helping designers think like professionals in the way they marketed their products. 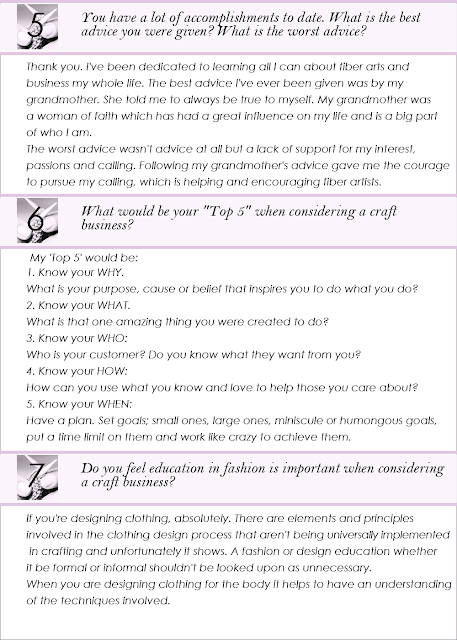 Read further for more about Lori Henry, her company LKnits and what marketing strategies can be provided for the designer who wishes to go professional. 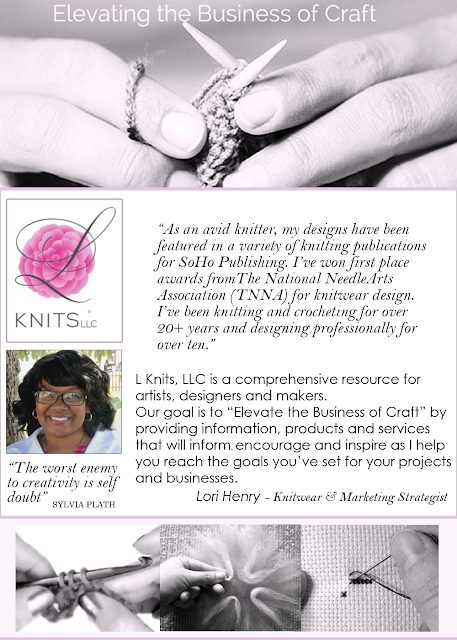 Happy Knitting, Crocheting, Stitching or any other craft you love doing!